As the number of networked devices and objects in homes, businesses and schools continues to multiply, threats to cybersecurity are growing exponentially as well. Cybersecurity professionals who can keep these systems safe are in high demand, experts say — and educational programs can play a key role in helping to fill this pipeline by exposing students to cybersecurity concepts and careers beginning at an early age. The number of jobs in cybersecurity is on the rise, and organizations are struggling to fill them. According to CyberSeek, a website that posts information about cybersecurity positions, there are 128,000 openings for information security analysts each year in the United States, but only 88,000 employees fill them. That amounts to an annual talent shortfall of 40,000 workers for what is the profession’s largest job. Dan Stein is the program director for the Department of Homeland Security’s National Cybersecurity Training and Education Program. His agency oversees the National Cyber Security Awareness Month, which is an annual campaign each October to raise public awareness about the importance of cybersecurity. DHS offers free curriculum materials to help teach students how to stay safe online and keep their Chromebooks, tablets and other digital devices secure, Stein says — and school systems should be teaching these skills and concepts to students beginning in elementary school. But as schools build awareness of the need for cybersecurity strategies, they should start making their students aware of the career possibilities that exist in the cybersecurity field as well, he asserts. 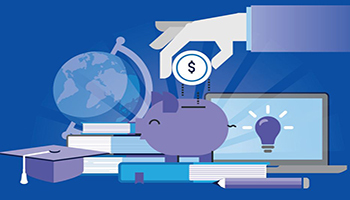 Download this white paper for tips on how to secure ed tech funding for your school. Colleges or career and technical education centers that want to establish educational programs leading to a cybersecurity degree or certificate should look to the DHS’ National Centers of Academic Excellence (CAE) program as a model, Stein says. The program includes core knowledge units explaining the skills that professionals should learn in areas such as cyber investigations, digital forensics and data security analysis. Educational programs that are mapped to these knowledge units are eligible to apply for CAE designation — which could help with recruiting students and placing them in jobs once they graduate. Looking for additional ways to bring the benefits of technology into the classroom? Learn more about emerging technology in education here.